Feed your travel bug whilst teaching English at the same time! 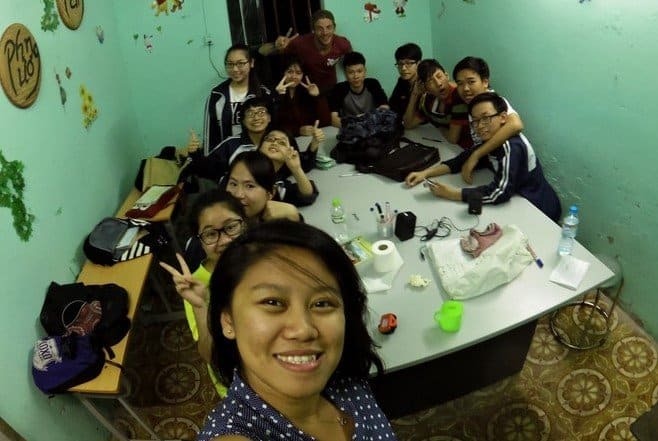 I was travelling in Vietnam when I decided to teach English, although I already have my TEFL (I will discuss this later) certificate before I started my travel. I tell you, it’s one of the best investment ever. For someone who loves to teach and travel, teaching English in a foreign country is a brilliant way to travel the world. You can find out more how to start funding your travel through teaching. Foreign English teachers earn up to $20-$40 USD per hour, depending on the location. Sounds great right? 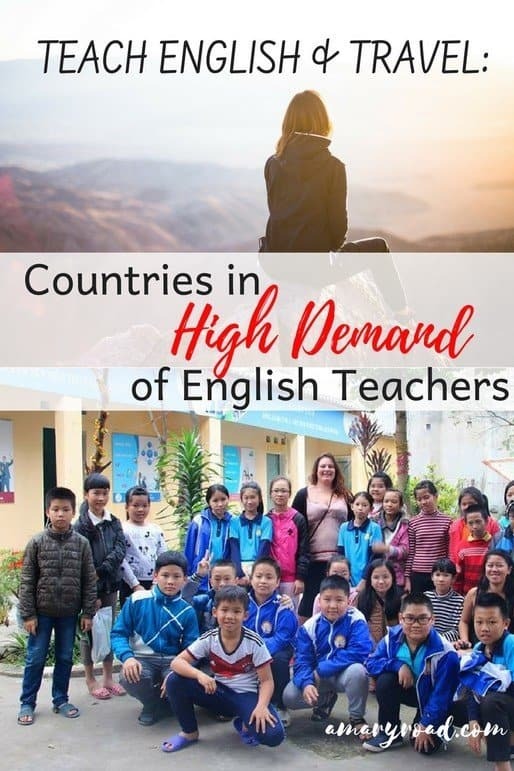 Here, I will list down the countries where English Foreign Teachers are in demand and what salary to expect. This is the certificate I have when I was teaching English in Vietnam, I took my online course with MyTEFL which was 120-hour equivalent course. 120-hour is the minimum requirement to be able to teach English abroad. This is for students who aim to teach English and/or improve their skills and abilities. 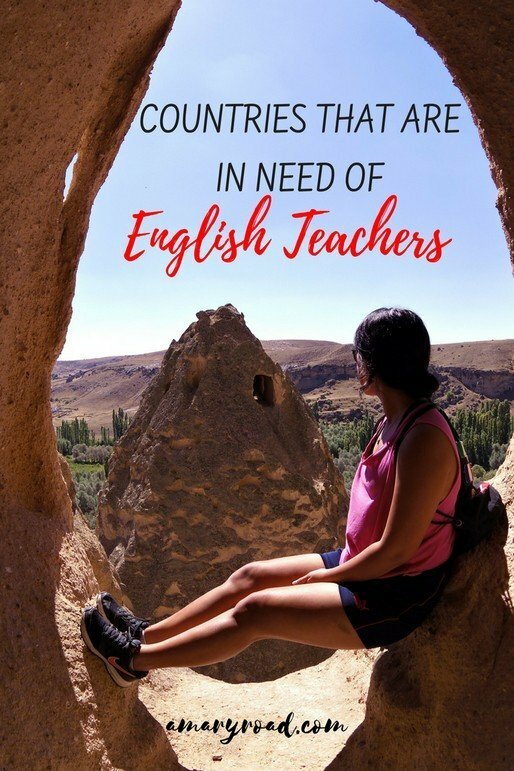 There are no general requirements to be an English Teacher abroad other than the TEFL Certificate. It varies from country to country, some centres or school require a Bachelor’s Degree, some hires native and non-native English speakers. Some teachers even get a job even without any experience. China – One of the top countries that are desperate for English Teachers. The expected salary of English teachers in China is around $22-37 USD per hour or $1,800-2,000 USD per month. With fairly affordable living cost, most English Teachers get housing allowance as well. Earning good money, enjoying good food, and learning the Chinese culture is an all-in package if you decided to look for to teaching jobs in China. Japan – Japanese culture has been one of the top travel destinations for every traveller in the world. Imagine you could learn its culture, explore its stunning mountains, eat authentic sushi and ramen (ahh! ), and earn money as an English Teacher at the same time! English teachers get paid between $2,000-2,500 USD per month. South Korea – South Korea’s private school has the hottest offers for teachers who want to teach English abroad. With attractive salary ($40-50 USD per hour), flexible working hours, complimentary housing, and even flight tickets. On your free time, you can easily enjoy the beauty of South Korea, maybe eat some kimchi or enjoy the famous blossom trees during the spring season. Thailand – Western English teachers enjoy working in Thailand not only for its competitive salary but also with the obvious reason, Thailand’s stunning beaches and affordable cost of living. Perhaps it’s not that bad to teach at one of the top travel destinations in Southeast Asia. You may check these teaching jobs for non-native English speakers in Thailand. 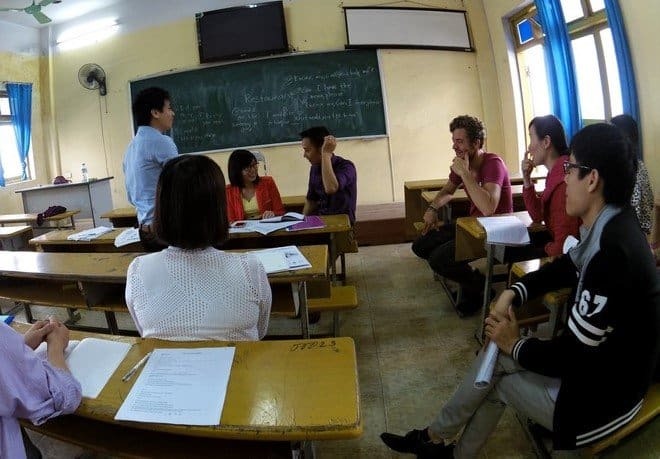 Vietnam – English Teachers in Vietnam are getting paid between $18-25 USD per hour. The working hours are between 25-40 hours a week, substitute teaching is also popular if you want to earn extra money, so are private classes. 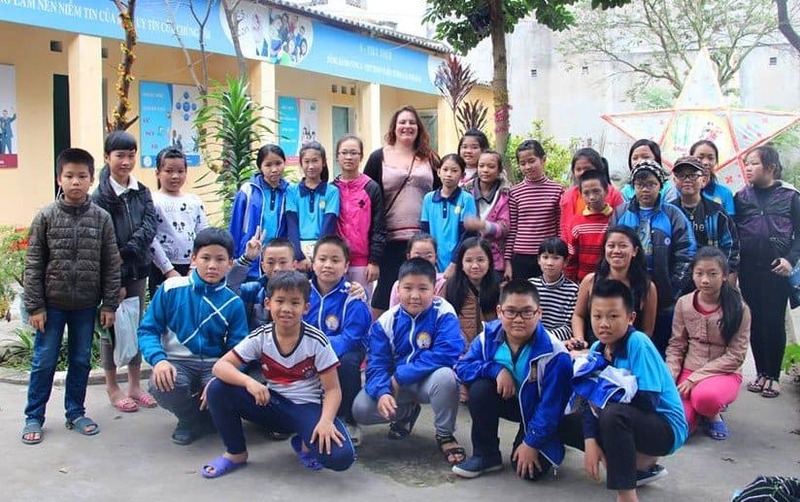 Teaching English in Vietnam will definitely give you a great chance to see its popular attractions, enjoy its world-class food, and learn the culture in the best possible way. Visa in Vietnam is pretty easy to and affordable. Get your visa in just few hours! Czech Republic – Czech Republic has the high demand of English Teachers compared to other European countries. The cost of living is very affordable whilst work permits are easy to obtain as long as you have a job lined up. On your free time, you are free to enjoy the historic streets of the country or get lost in the buzzing activities in Prague. English teachers are getting paid around $12 USD for 45 minutes, this is relatively low compared to other countries. But keep in mind that the Czech Republic is one of the cheapest places to live in compared to other western Europe. Spain – Like other countries in the world, Spain shares the high demand for English Teachers. It’s quite easy to find teaching jobs, however, the competition is also quite up in the sky. The best plan is to start your job hunting several of months before your ideal date to start teaching. Make sure you also have some savings to be your cushion to fall when things don’t get into the plan. Hourly salary is between $12-30 USD depending on the school and your experience. Saudi Arabia – English teachers getting paid up to $3,000 – 4,000 USD per month tax-free! English teachers are also offered competitive benefits packages such as flight, accommodation, accommodation allowance, and health insurance. Earn and learn the rich culture of the Middle East. English teachers could also receive a return airfare, as well as flight tickets for the teacher’s spouse or two dependants. Sounds like a good deal, aye?! On the side note, here’s to find out what is it like to teach in Abu Dhabi. Brazil – You will be inspired to teach when you meet the Brazilian students coming to the classroom with enthusiasm to learn. English teachers in Brazil are expected to work a minimum of 25 hours, depending if you want to do a private teaching. The pay also varies from cities to cities and suburbs. Colombia – More or less 30 years ago, Colombia is a no go for travellers. However, since the huge reform of the country, they manage to move forward and now one of the top countries to teach English. The average monthly salary is around $600-900 USD, even though most English teachers are only able to break even between their salary and cost of living, Colombia is still a great country to teach English and travel at the same time. You will get a good way to learn the country and meet its warm-hearted locals. Nicaragua – Nicaragua might not be the most attractive country on this list, but what makes it the best place to teach English and travel at the same time is its super cheap cost of living. Most English teachers don’t pay more than $150 USD a month for their basic needs. Aside from that, Nicaragua is undeniable popular for its magnificent lakes and stunning volcanoes to explore! I hope this will help you get the chance to teach English and travel at the same time. If you have more questions, feel free to let me know in the comment section below.